In the last few years, there have been several films about our 16th president, from Spielberg's epic drama Lincoln to the horror parody Abraham Lincoln: Vampire Hunter, but none quite like The Better Angels. This story of Lincoln's childhood in the farmland of Illinois is the directorial debut of A.J. Edwards, who has worked as an editor and cameraman on a few of Terrence Malick's recent films, and the mark of his frequent collaborator is very clear here–for better or worse, depending on your opinion of Malick's work. The Better Angels begins by looking at the Lincoln memorial, but only on the edges, which interestingly lends a sense of myth and legend without being too on the nose. The film is narrated by several different family members of honest Abe, but primarily by his cousin, who comes to live with him and his family near the beginning of the film. For the entire film, we watch Abraham grow up through the eyes of others, and see both the idyllic country life as well as the harsh realities of living in the early 19th century. Of particular focus is his father (Jason Clarke), his mother (Diane Kruger), and his stepmother (Brit Marling). Being firmly in the Malick camp, similar to the excellent Days of Heaven or the divisive To the Wonder, The Better Angels has pretty gorgeous cinematography. There isn't a moment that doesn't feel authentic to the time period, but it also has an extremely surreal feel. 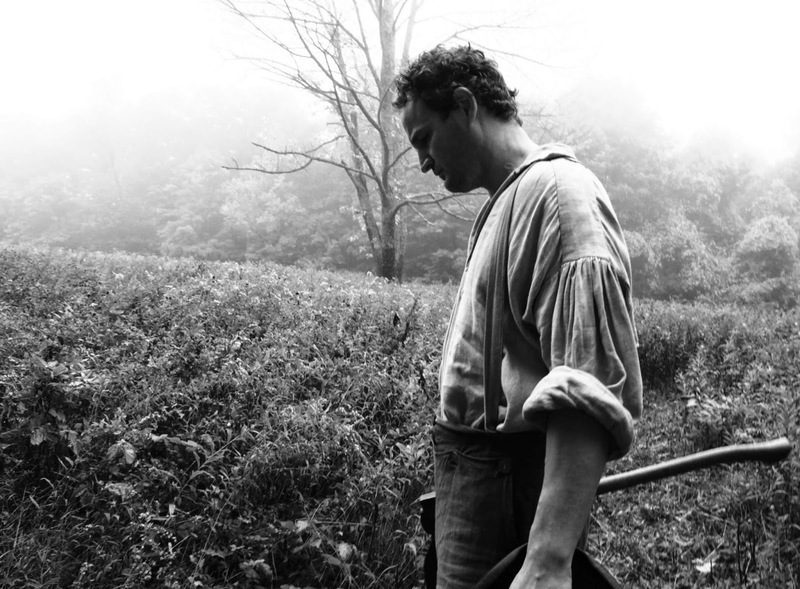 The cinematographer, Matthew J. Lloyd (interestingly also DP on the upcoming Daredevil pilot), finds pastoral beauty in the simple setting, which is often accentuated by the fact that it is shot in black and white. To continue with a little bit more of the technical side, the film is edited extremely well. I imagine it is difficult to edit a film like this, with such a meandering 'story' (more on that later), but it is done pretty masterfully here. The passage of time in particular is really well done; for example, we see the snow, then a small creek that gradually through edits becomes a raging river to show the transition from Winter to Summer. The sound is quite good as well, only including the essential sounds which adds to the dreamlike feel of the film, and there are a number of excellent and subtle sound bridges–in the sequence mentioned above, that raging river gradually fades into the sound of wagon wheels which signal the return of Abraham's father. Unfortunately, while The Better Angels is gorgeous and well-crafted, its story is dull and feels somewhat pointless. I hesitate to say story rather than lack of a story–most of the scenes tend to float through semi-meaningless sequences of children playing, Abraham and his father farming, and his stepmother trying to get him to come out of his shell. The dialogue is sparse, and it is only near the end of the movie that we get to what is ostensibly the point, when his stepmother and teacher try to convince his father that Abe is meant for bigger things than the farm. Oddly enough, Abraham himself is rarely the focus, and you never get a sense outside of what the narration tells you that he is the brilliant and brave person that historically he becomes. There's almost something to grasp onto with Abraham's father: he is often disappointed in young Abraham as he catches him stealing and getting into trouble, and doesn't want to see the side of him that the boy's mother and stepmother see. It would potentially be interesting to see how this legendary American figure's family had an impact on him, but the problem here is that his father's change of heart that allows him to leave the farm and go to school is completely unmotivated. It seems like this final resolution pops up out of nowhere, like they ran out of pretty things to shoot. Although it's visually and technically a sumptuous feast, the story is extremely lacking. Many critics find similar fault on Malick's recent endeavors, but at least with those there is a pretty ambitious plot–I still remember the excitement I felt just reading the description of Tree of Life when it was first announced: "[...] the eldest son witnesses the loss of innocence." Lincoln is undoubtedly a fascinating historical figure, but not necessarily through the impressionistic lens of A.J. Edwards.